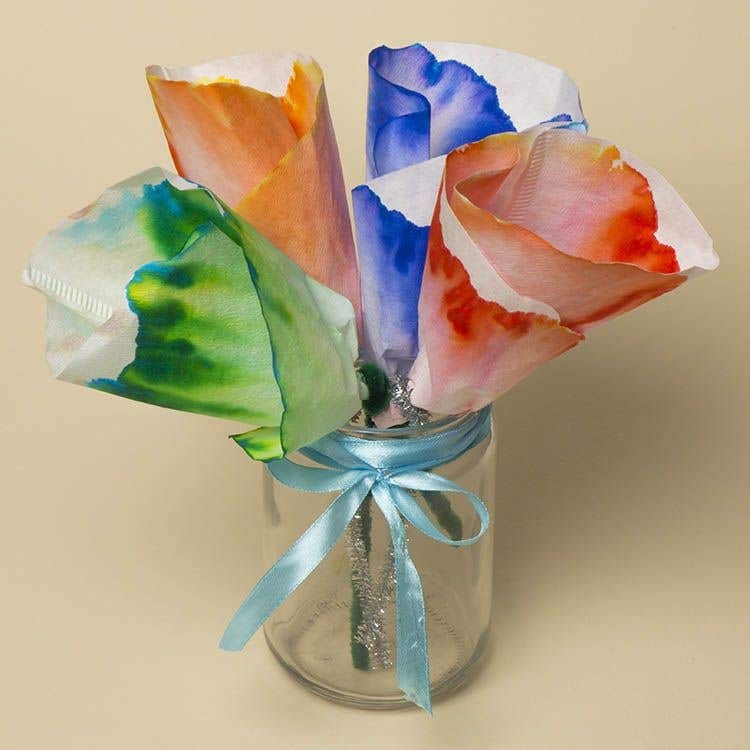 These beautiful watercolour flowers are created using a chromatography effect on coffee filters! Take a coffee filter and cut along the seam to open it out. 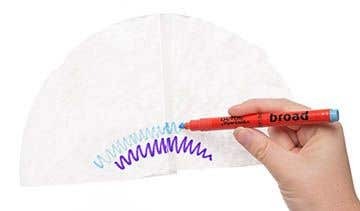 Take three colouring pens and draw a selection of wiggly lines [like in the formation of a rainbow] around the bottom, moving upwards, horizontally. 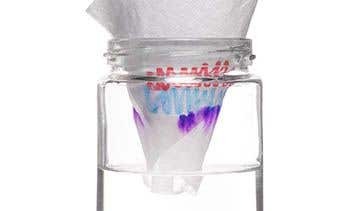 Fill a cup or short glass with water - about two thirds full - and fold the filter into a loose cone shape. Place the filter in the cup or glass so only the very tip of the base touches the water. Wait and watch! The colours will separate and move upwards creating vivid, colourful shapes. Once the colours have stopped spreading, remove the filter and leave it to dry. Repeat using different colours and different colour combinations on other coffee filters. Try using multiple lines of a single colour, or two different colours or as many as four or five so that you can compare the different effects. Once dry, fold each filter in the same way it had been folded when slotted inside the cup or glass. 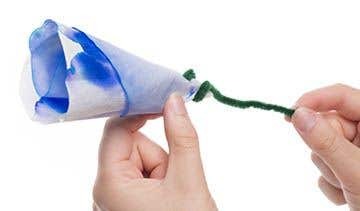 Twist the base a little to create a type of stem, then twist a pipe cleaner around it to secure and form the stem. Repeat for all.